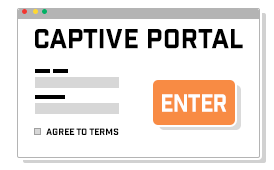 A captive portal is a web page that a user is prompted with when connecting to a public access WiFi network. The captive portal states the terms, agreements, and acceptable usage policy for the user and then permits usage of the guest network upon the user’s acceptance of the policies. There are a handful of benefits that come with using a captive portal, including the ability to separate network traffic, limit data usage, collect valuable data, marketing and business recognition, and liability protection. With all of these benefits, there is very little reason to not have a captive portal as the gateway to your guest network. What is subnetting, what is it used for, and why is it important? Subnetting is the practice of dividing up a network into two or more networks. Common advantages of subnetting include enhancing routing efficiency, network management control, and improving network security. While these are just a few of the benefits that subnetting provides, they are the most noticeable after immediately implementing a subnet system. “If it is online, it can be hacked!” This phrase has served as the motivation for both hackers and security professionals for years. Every network has its weaknesses and vulnerabilities that hackers can exploit to gain access to your network. The only way to completely avoid a potential attacker is to pull the network cable. However, depending on the circumstances, doing this could actually create the exact denial of service result the attacker intended. 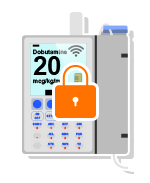 An infusion pump is a medical device that pumps controlled amounts of medication, nutrients, and other vital fluids into a patient’s body through an IV. These devices are mostly found in hospitals, nursing homes, and other various medical settings. The pump is to be programmed in order to set the rate and duration of the fluid delivery based on the needs of the patient.